A small herd of Highland cattle roams the reserve. 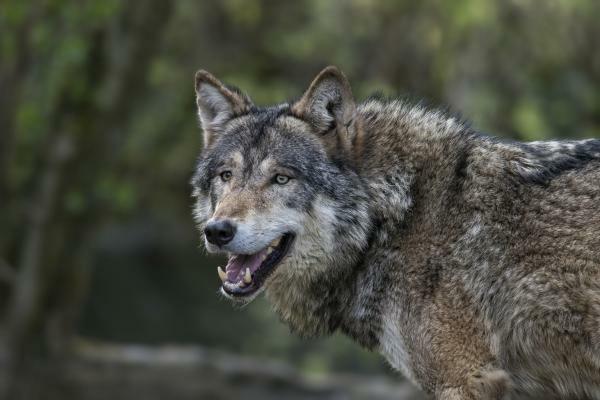 He says people have to realize this is not the reintroduction of wolves to the wild — it would be a limited experiment in "rewilding" one 50,000-acre chunk of the Highlands, surrounded by an electric fence. Lister recognizes that in 21stcentury Scotland, reintroducing wolves on a broad scale would not be feasible. PETER KENYON, BYLINE: When he filmed the classic spy thriller "The 39 Steps," Alfred Hitchcock had his hero Richard Hannay make a dash for it over the Scottish Highlands, chased by a pack of police. UNIDENTIFIED ACTOR: (As character) There he goes. KENYON: Unfortunately, he had very little cover to hide in because the ancient Caledonian forest of Scotch pine, birch and mountain ash that once covered the Highlands had long since been clear-cut. Replanting efforts have been underway for some time, but there are obstacles. One being a thriving red deer population that loves to graze on young saplings. KENYON: After the snowiest winter in decades, the Alladale River is swollen with runoff gushing through the Alladale Wilderness Reserve. 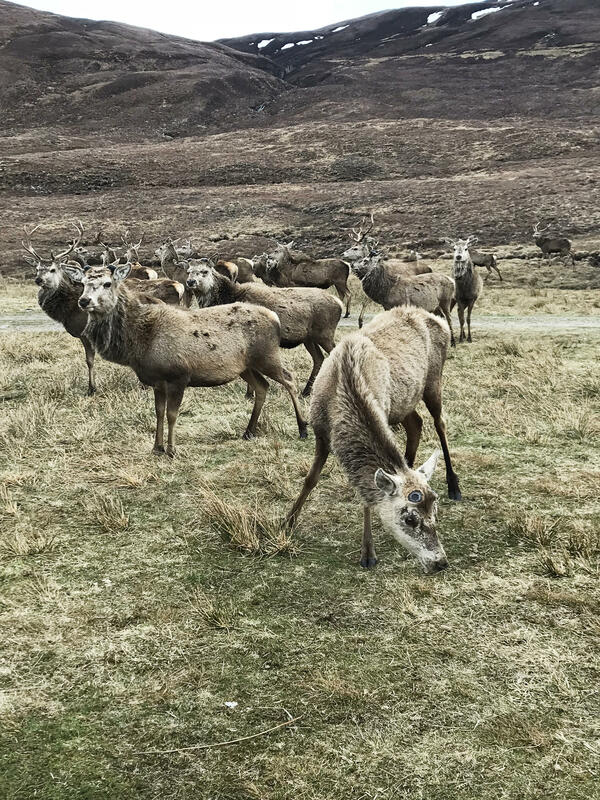 It's a landscape of grass, heather, peat bog, bluebells and moss roamed by red deer, golden eagles, foxes and other intriguing species. 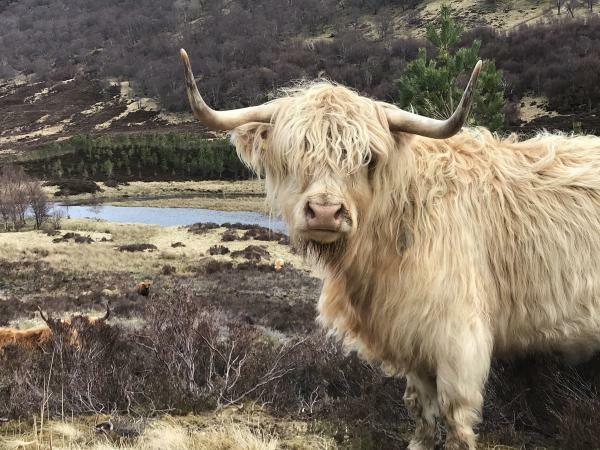 KENYON: Those would be the Highland cattle - shaggy furred, longhorned, some blonde, some redheads. KENYON: These 23,000 acres used to be called an estate. But when Englishman Paul Lister bought the place 15 years ago, he renamed it a wilderness reserve and set about trying to see if the old forests could be regenerated. And the wildlife that used to live here could return, including wolves. Reserve manager Innes MacNeill says, at the moment, things are out of balance. Too many deer mean the immature trees get browsed to death, keeping the forest from regenerating. If that sounds like he's casting the deer as the villains here, he's not. INNES MACNEILL: It's man that did the damage here. Deer are the success story because they're a forest animal. And you'll see, as we go out to the glens, the forest is gone. And they've adapted. KENYON: Adapted too well, perhaps. That's why the owner would like to see the deer population - now estimated at about 750 animals - roughly half that size. That's where the wolves would come in, if Lister gets permission to bring them over from Sweden. MacNeill says the wolves wouldn't wipe out the deer. They might take a few dozen each year. But crucially for the environment, he says they would keep the deer moving. MACNEILL: With the wolves, the deer will be more mobile. So they wouldn't be concentrating on one area for five or six hours, just grazing it bare. And then you might see a willow or an alder shoot starting to come through, and it'd get a chance to get established, you know? KENYON: The project has been talked about for years and faces opposition from Scottish farmers and hikers. 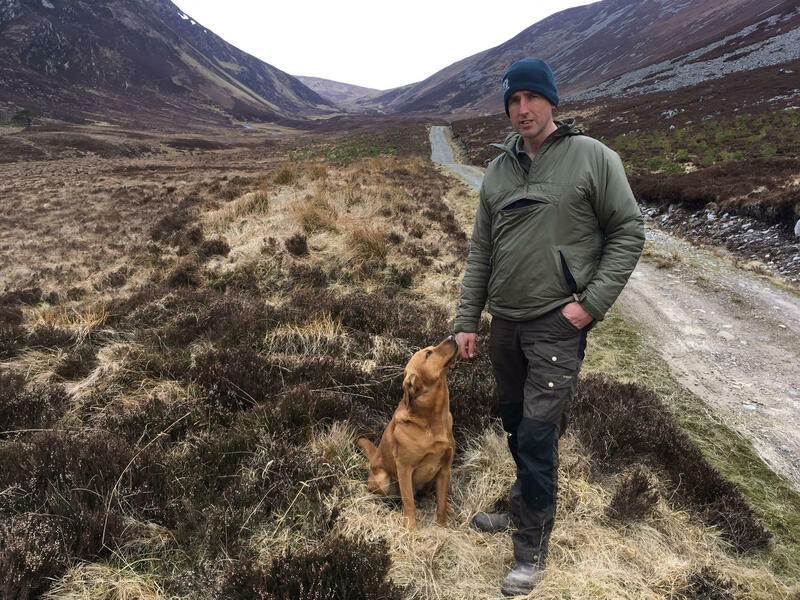 Danny Carden is a strong defender of Scotland's right to roam - free access for hikers that, with some exceptions, is guaranteed by law. The idea of a fenced-off area that people would have to pay to visit rubs him the wrong way. DANNY CARDEN: He's essentially trying to create a large, extremely expensive zoo for rich customers to pay him to visit. More importantly, it would seriously undermine our world-class public access rights. KENYON: Livestock farmers have their own objections. Scottish Cabinet Minister Fergus Ewing, who represents farming interests, has said wolves will come back to the Highlands over his dead body. FERGUS EWING: The last thing that farmers need with all the problems they've had at the moment is escaped wolves attacking and killing their lambs and sheep. KENYON: In response to his critics, Lister says, yes, he would charge visitors to see the wolf-populated reserve. And the increased visitor traffic would provide a strong boost to local village economies. As for the farmers, he says all the wolves would be tagged and satellite-tracked. So if one escaped, it would quickly be captured and returned to the reserve. He says people have to realise this is not the re-introduction of wolves to the wild. PAUL LISTER: It's a total dream, and it will not happen for the foreseeable future. We've got 65 million people living on this island. You've got hundreds of thousands of sheep. And just to release a pack of wolves into Scotland, think they're just going to get on just fine and dandy - it's not going to happen. KENYON: But he believes a limited experiment in re-wilding one 50,000-acre chunk of the Highlands is possible. LISTER: So let's do something that can happen, and let's all compromise to see something - a new vision, a new economy. KENYON: Lister says this is the year to press the authorities for permission to proceed with this plan, but there's no guarantee they'll say yes. Peter Kenyon, NPR News, Northern Scotland. (SOUNDBITE OF THE POLYVERSAL SOULS' "SAD NILE") Transcript provided by NPR, Copyright NPR.